After tons of leaks and rumors so far (and more to come), we are to finally see the real Galaxy Note 8 phablet this coming August 23, 2017. This was just made official as Samsung Electronics sent Unpacked Event invite for the said date which is to happen in New York. By now, we all have some sort of expectations as to what we can see in the final form of the Galaxy Note 8 smartphone, thanks again to those flooding leaks from different sources all around the web and the industry. The Infinity Display, like what the Galaxy S8 and S8+ have, is one of the big things that many are expecting to see in the upcoming Note 8 smartphone. While the S8 series' display is already big for many of us and compared to other flagship counterparts, the display on this upcoming Note 8 is expected to get even bigger which is usually the case between Galaxy S and Galaxy Note series so far. 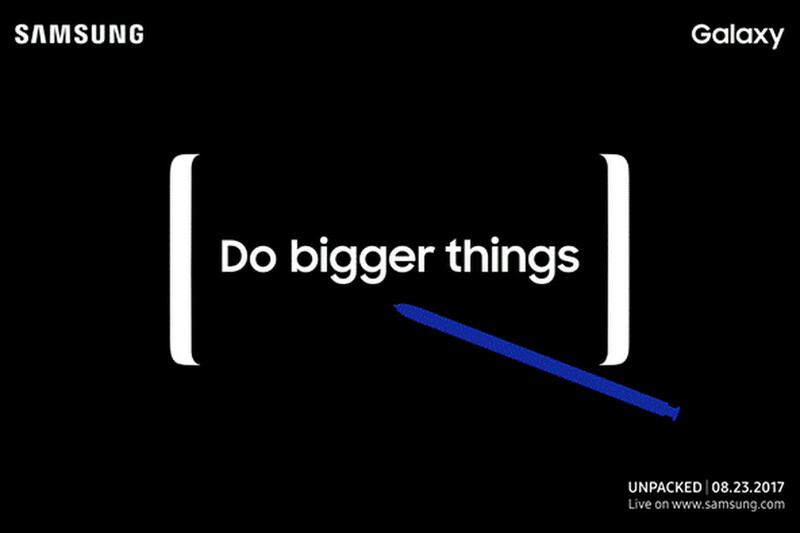 And aside from the Infinity Display, dual rear camera is also one of the biggest upgrades we are hoping to see in the Note 8. Almost all the leaked information and photos agree to this particular feature. If this is real, the the Note 8 will be the first smartphone from Samsung to wield the dual camera configurations. Whatever the real deal is surrounding the Galaxy Note 8 will all be confirmed and debunked come August 23, 2017 in the US.